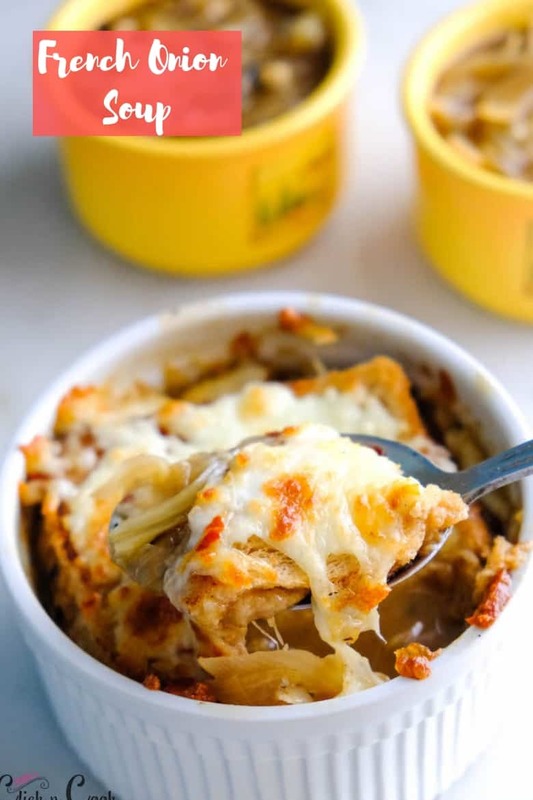 Best and Simplified version of Classic French onion soup extremely flavourful, caramelized onions are simmered and served with crunchy bread with cheesy toppings! This is simple and Hearty soup! 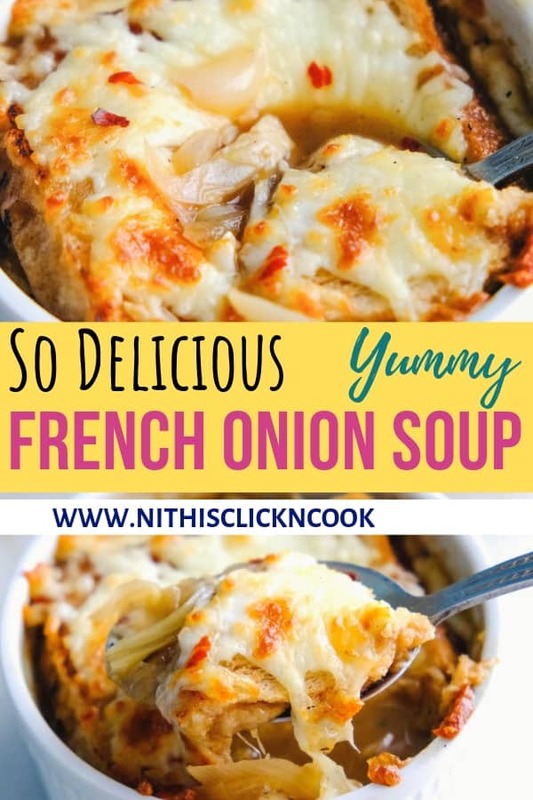 Why it is called French onion soup? 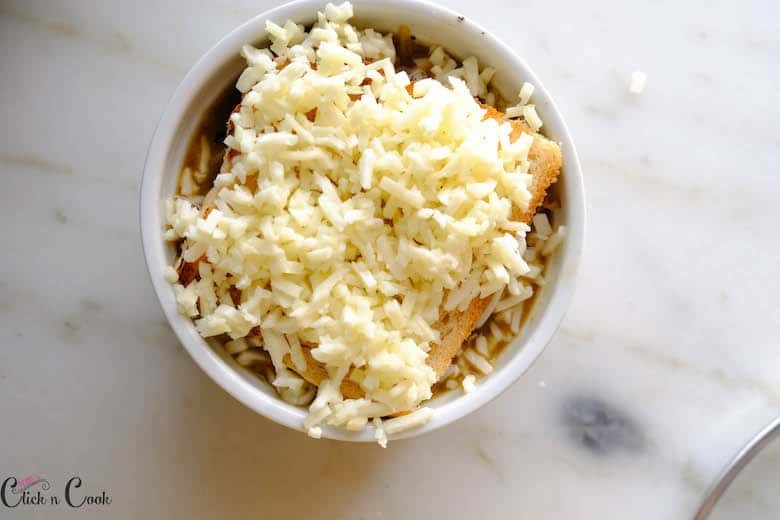 The first French onion soup was said to been created by king Louis the XV. The French king at the time supposedly came up with the recipe when he was hunting. 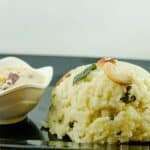 The party was trapped in lodge for sometime with very little food, there were only butter and onions which were created into a soup. 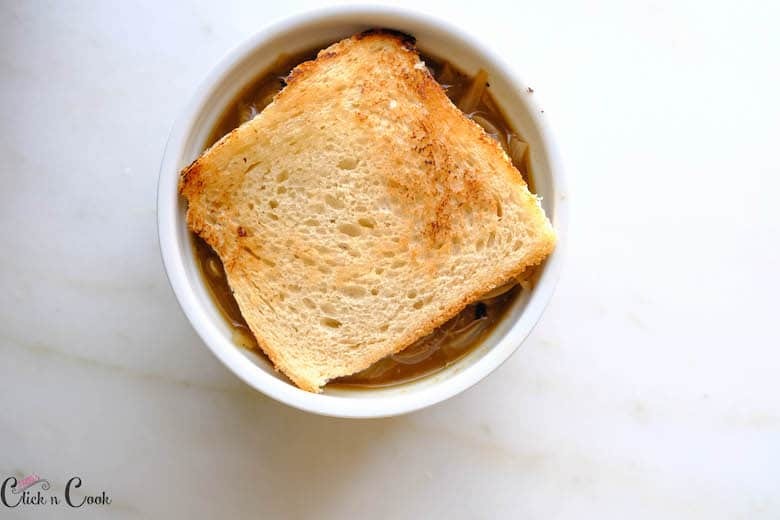 Pantry-friendly: The ingredients to make French onion soup is very less and easy to make. 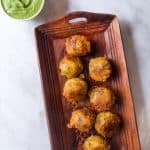 Customizable: The bread and cheese you add to this recipe are totally customizable. 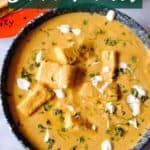 Totally-Filling: The soup itself served as a main dish because the bread with the melted cheese and caramelized soup makes it’s a complete meal. 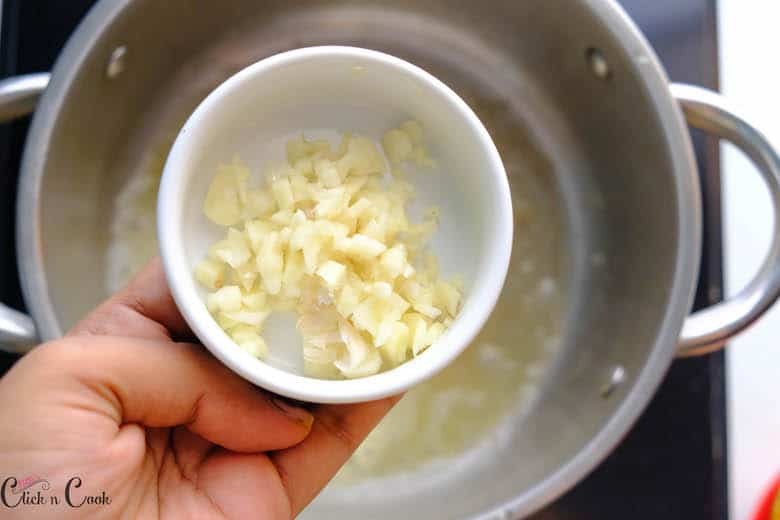 In a deep pot, heat up butter. Let it melts for few seconds. Add minced garlic and saute for a minute. 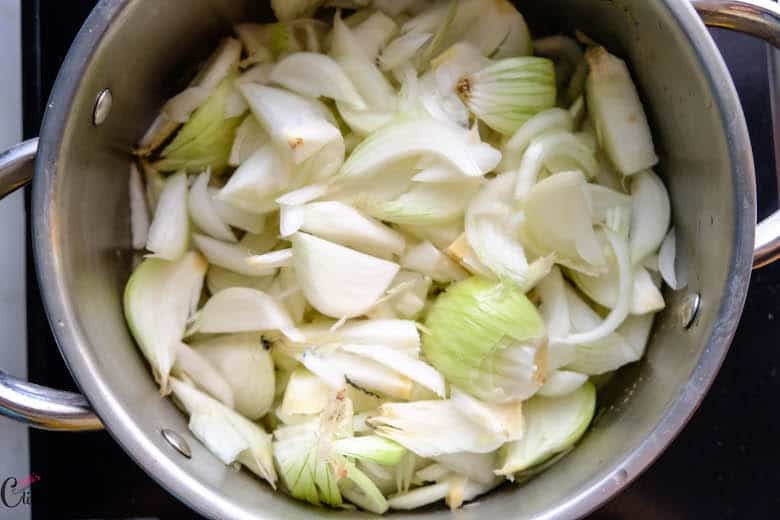 Over a medium heat, cook the onions until they are nicely browned, that would take 20 to 25 mins. Stir the onions occasionally. In goes some chicken stock and water. Let the soup simmer for 15 to 20 mins in low heat, stirring occasionally. 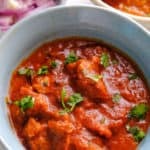 Pour some soup in serving bowl and Toast the bread in oven for by spreading the slices of bread in baking sheet, broil for 3 mins and flip and broil for another 3 mins until they are crispy and golden. broil for 3 to 5 mins till the cheeses are melted. Carefully take out from the oven and serve. Simply you can toast the bread in pan and flipping on Both the sides until they are golden. Spread some mozzerala cheese over the bread and cover with lid. once the mozzarella cheese melts away, carefully place over the soup and serve. 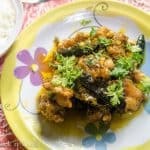 Sprinkle red chilli flakes and serve. 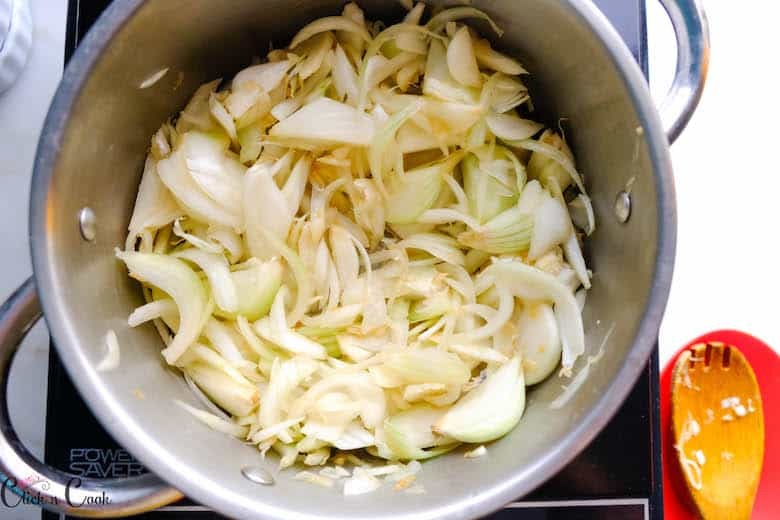 Onions: Slice the onions thinly, Caramelization of the onions is the most import process in making of French onion soup. Stirring occasionally helps the onions not to burn/stick to the bottom of the pan. 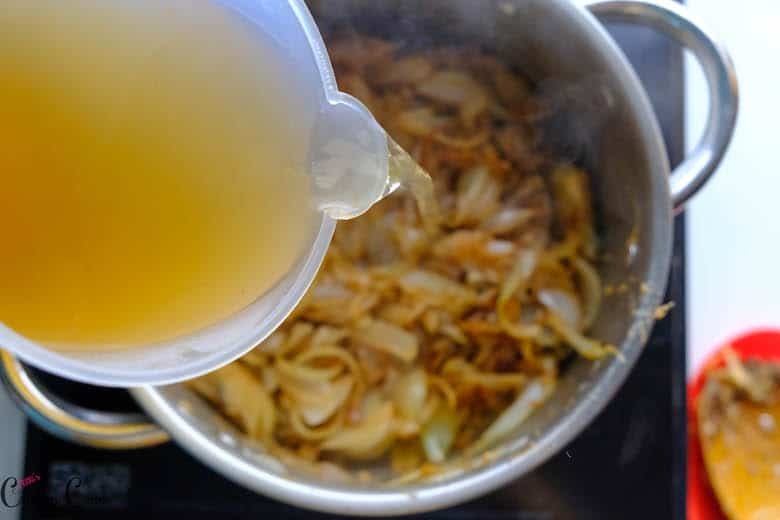 Originally beef stock is used in making French onion soup, I used chicken stock to make it. 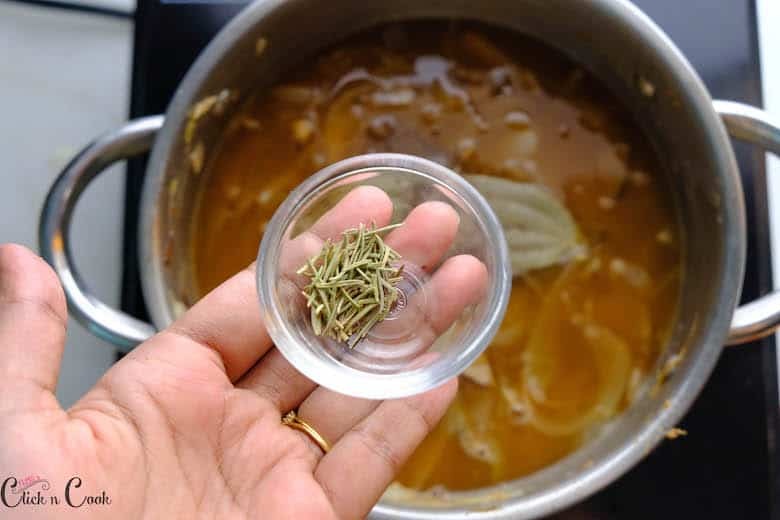 Use home-made chicken stock for best results. 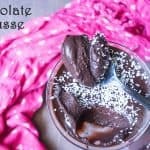 I have used flour in this recipe, once the flour is added, mix in quickly so that the flour is combined well to avoid lumps. 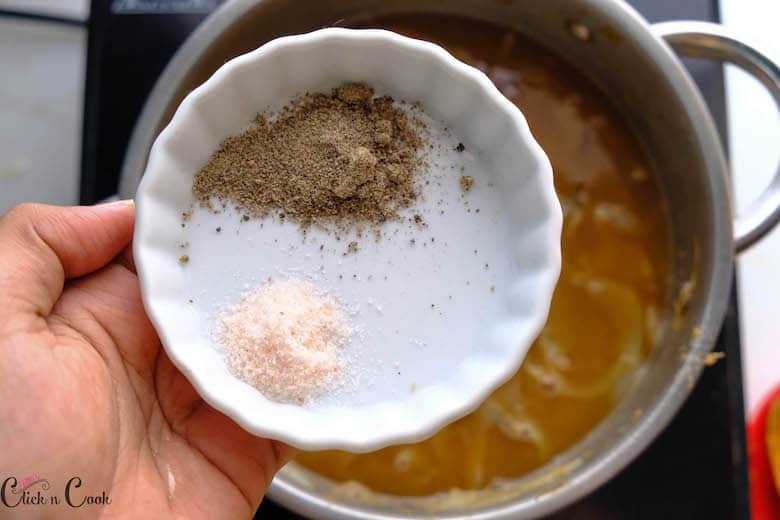 Adding flour also gives your soup slightly creamier. Traditional Gruyere cheese is added, it is not available in my region, therefore I added mozzarella. 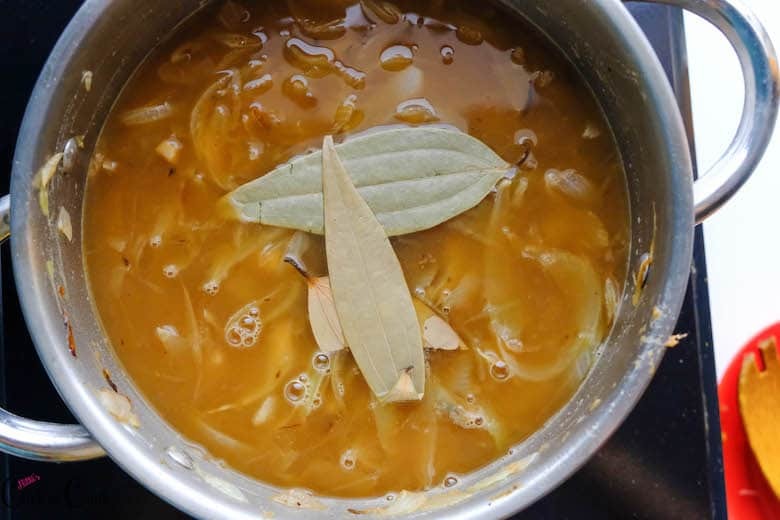 Simmer: Simmer the soup adds great flavor to the soup with rich and bold flavors. For seasoning I used pepper and salt, you could also use chili flakes, fresh parsley, thyme. 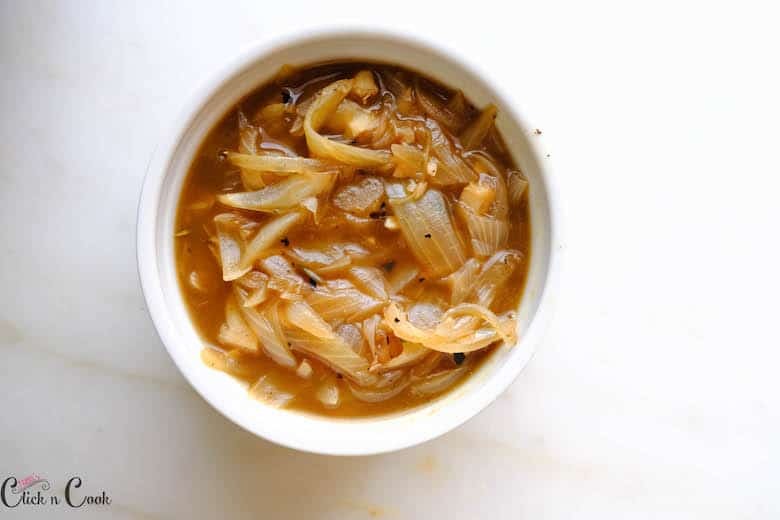 What kind of onions do you use for French onion soup? 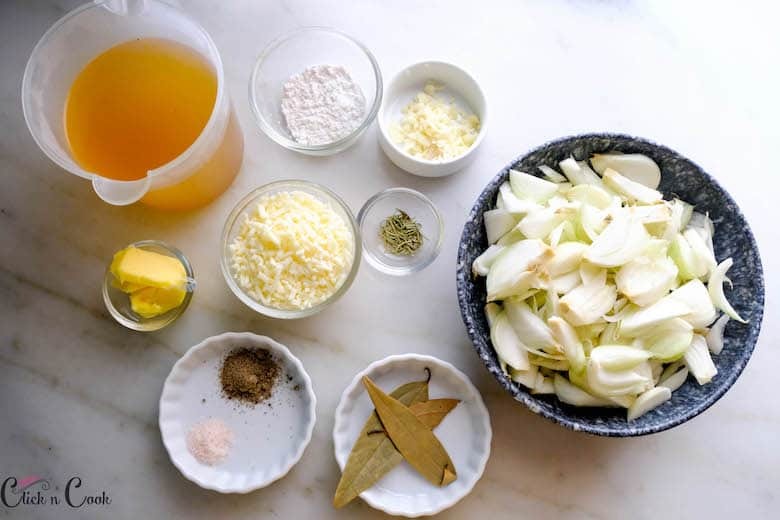 Yellow onions are the best onions to use in French onion soup. 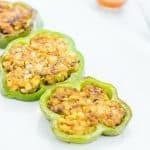 They have mild sweetness and sweetness with bright flavor. 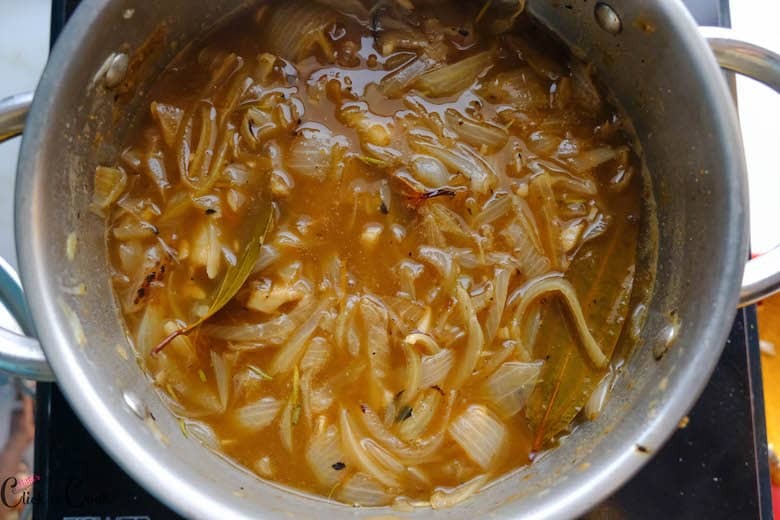 Can I use red onions for French onion soup? Yes, caramelized red onions give you deeper flavor with a slightly bitter edge and less sweetness. 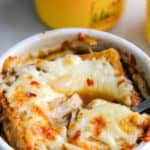 How long is homemade French onion soup good for? 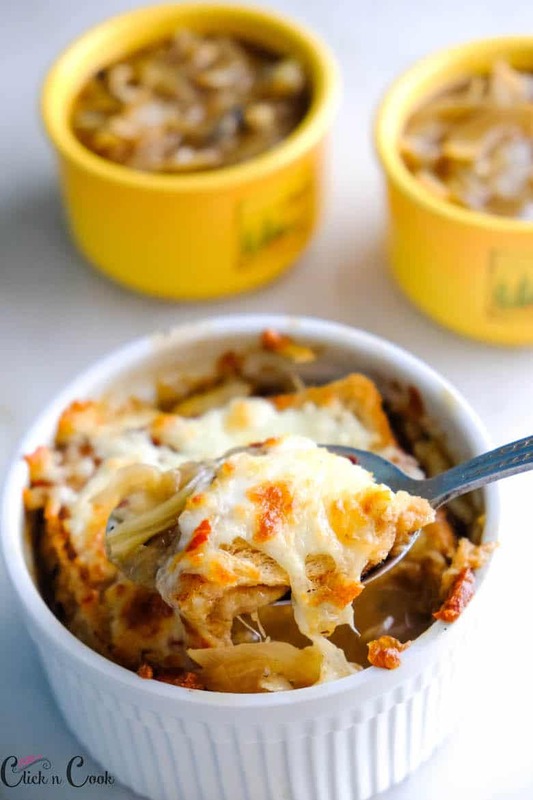 Bring the French onion soup to room temperature, store in the air-tight container and refrigerate for 3 to 4 days. 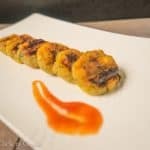 How dark should caramelized onions? 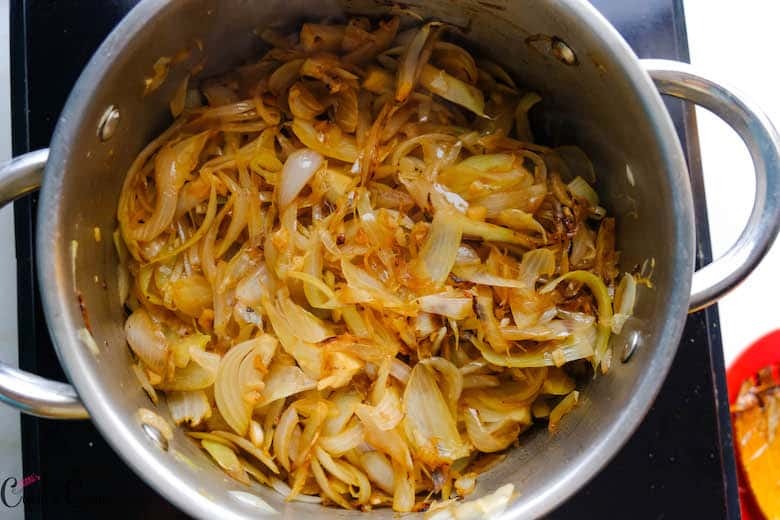 Caramelized onions should be far darker than golden in color. 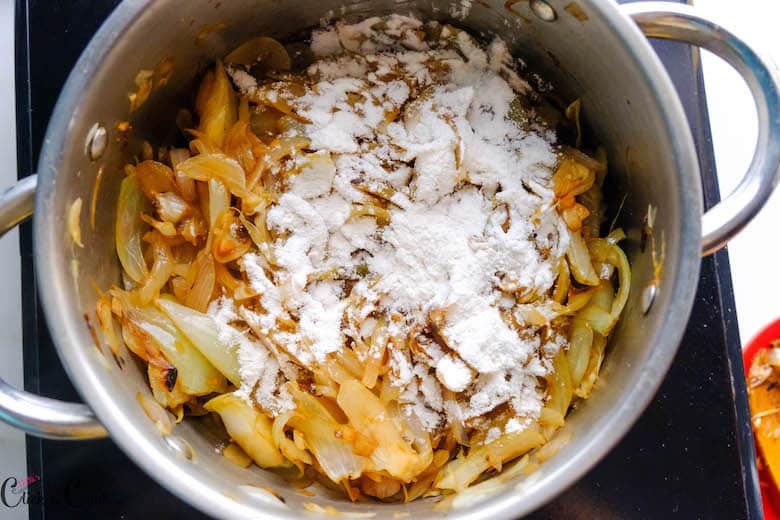 Cook the onions over the medium heat for 30 to 35 mins stirring occasionally to get a caramelized onions. 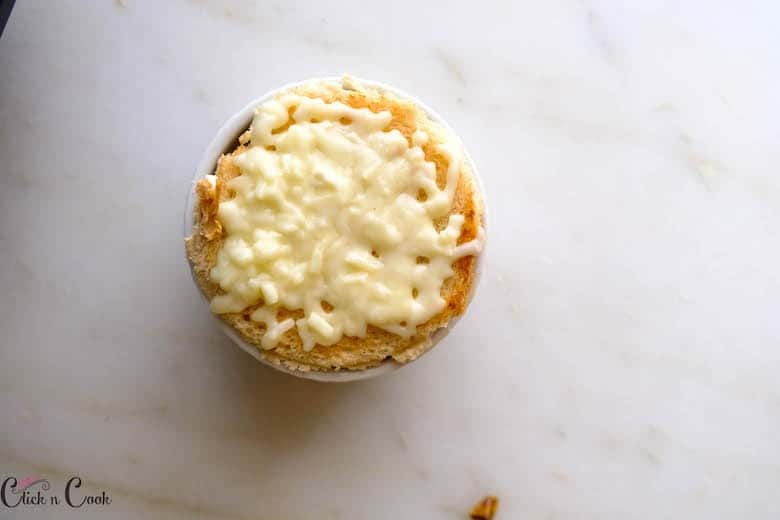 What type of cheese can be added other than gruyere cheese? 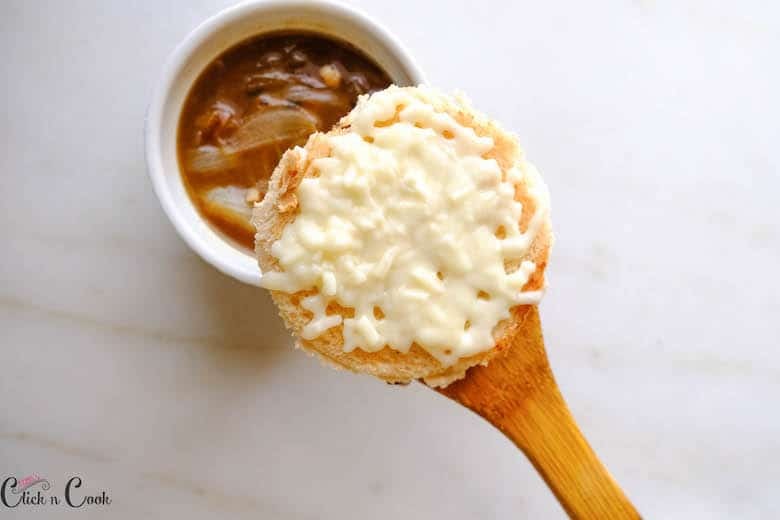 What type of bread can be used for French onion soup? Bread like the baguette, white bread works well. 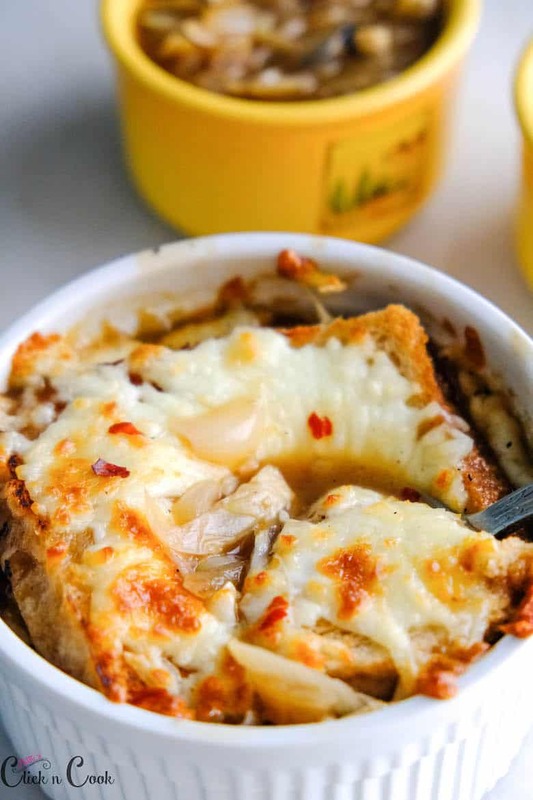 French onion soup can be served with a crusty slice of toasted bread or salad. 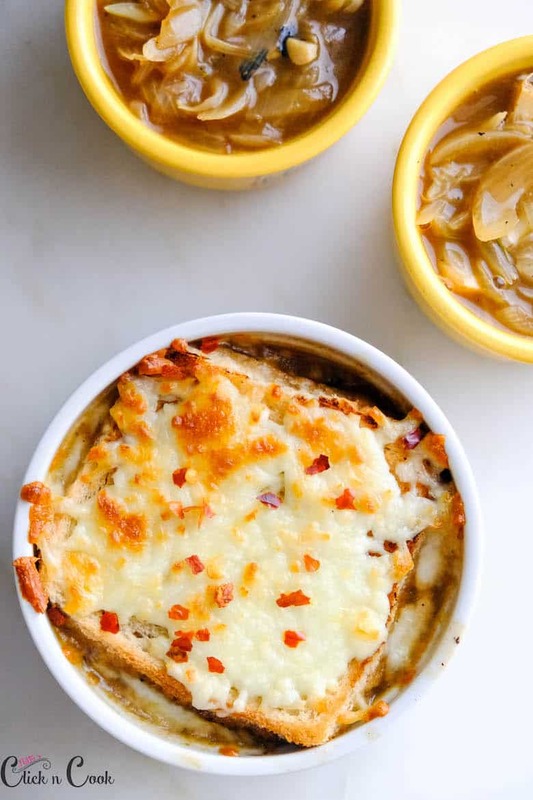 Best and Simplified version of Classic French onion soup extremely flavourful, caramelized onions are simmered and served with crunchy bread with cheesy toppings! This is simple and Hearty soup! 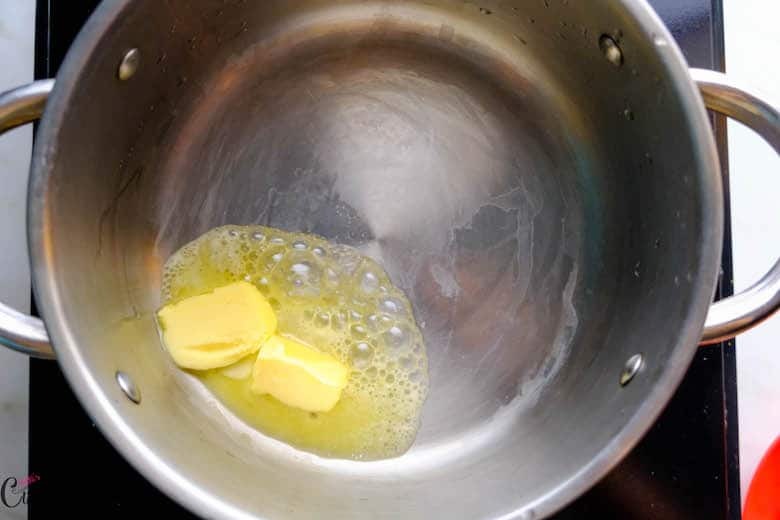 In a deep pot, heat up butter. Let it melts for a few seconds. Over medium heat, cook the onions until they are nicely browned, that would take 20 to 25 mins. Stir the onions occasionally. 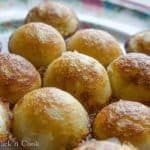 Toast the bread in the oven for by spreading the slices of bread in the baking sheet, broil for 3 mins and flip and broil for another 3 mins until they are crispy and golden. Sprinkle mozzarella cheese over the bread and broil for 3 to 5 mins till the cheeses are melted. 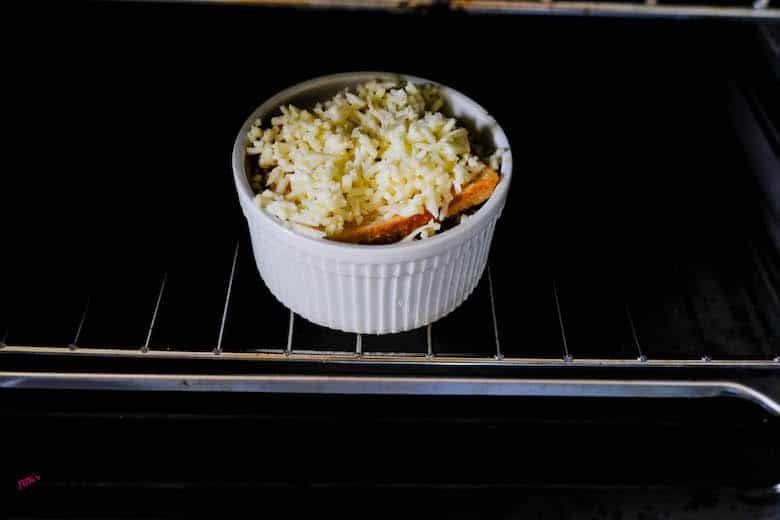 Carefully take out from the oven and serve. Simply you can toast the bread in the pan and flipping on Both the sides until they are golden. 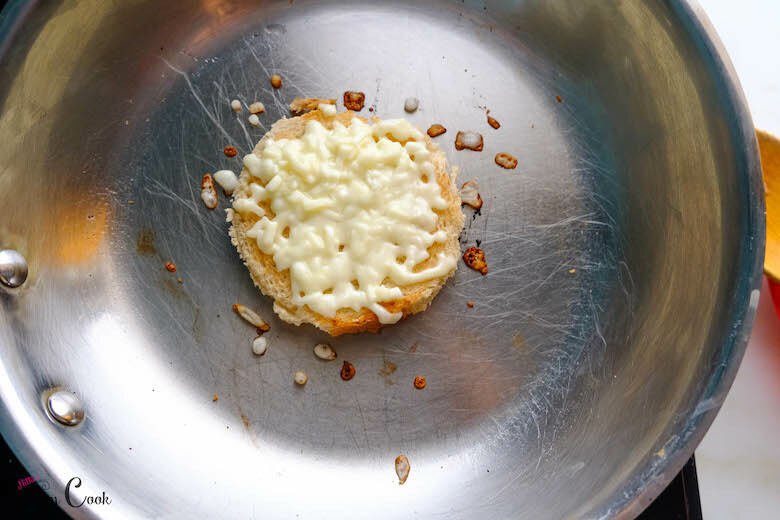 Spread some mozzarella cheese over the bread and cover with lid. 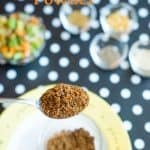 Sprinkle red chili flakes and serve.